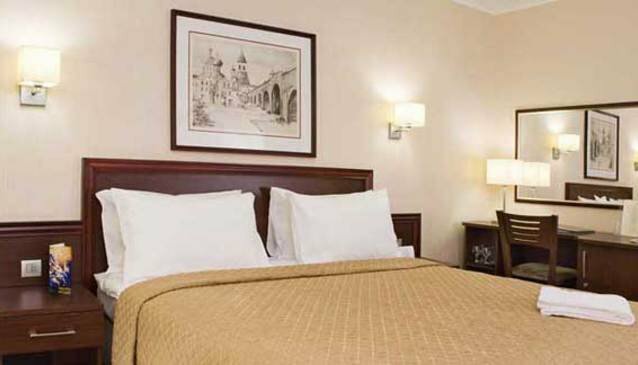 The Aerostar Hotel is a four-star business hotel located on Leningrad Prospect, near the Petrovskiy palace, about a 10-minute drive from the Kremlin. Several sports arenas are within walking distance. This award-winning hotel was renovated in 2008. There are sleekly decorated rooms, suites and apartments, suitable for long-term stays. The hotel has a restaurant featuring traditional Russian gourmet dishes, and a club bar with a hookah and cigar lounge. There are extensive meeting facilities. There is a fitness centre with a sauna. The Sheremetyevo International Airport is about a half-hour drive from the hotel.